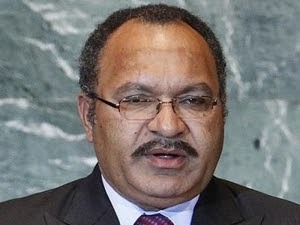 PRIME Minister Peter O’Neill said no private bridge or infrastructure like roads in the country would be destroyed or blown up by anyone including investors. The Prime Minister said this when responding to questions raised by the member for Koroba-Kopiago Philip Undlialu in parliament last week as there were reports that the developer of the PNG LNG project, ExxonMobil, has decided to blow up the Kikori-Moro bridges. He asked if the government would intervene and prevent the developer from blowing up the bridge so the road can be declared a national road. He asked if the government would negotiate with the developer to use the Komo International airport for domestic use as it would be abandoned by the developer after the construction phase is over. Prime Minister O’Neill in response said that no one in the country will blowup or destroy any infrastructure that are in place. He said under the term of agreement, the only restriction in place is that there should not be any forestry or logging in the area and the construction of houses. However, he said that the road should be left for the people to travel from Kikori to the Highlands. He said the Kikori-Southern Highlands road was a priority government road that would connect Kikori and Hela and Ialibu through Erave. O’Neill said that the government will negotiate with ExxonMobil to allow the government to convert the Komo International airport to become a flying centre for the air wing of the PNG Defence Force.